Welcome to my Bridal Suite and Congratulations on your forthcoming wedding. It is always a privilege and pleasure to work on custom wedding stationery sets for brides and grooms to be. Whether you would like a full set of personalised illustrated stationery, fully printed with an excellent finish on high quality papers, or would simply like clip art illustrations that you can use to craft your own stationery set, I am very happy to help. please drop me a message and tell me all about it using the form below. I'd love to hear from you and will get back to you with costs, timings and a plan. I'm also delighted to offer a selection of wedding stationery sets which can be personalised to add an extra special touch to your big day. Some of the sets can be adapted so that the bride and groom's skin tone, hair colour and style match that of you and your partner. 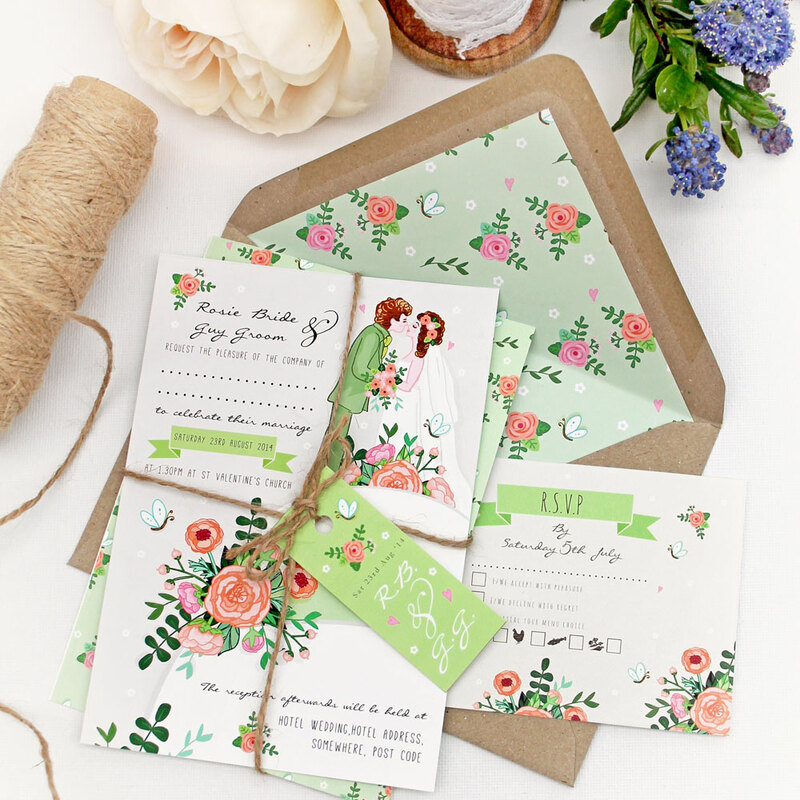 Each DIY Printable set comes as print ready PDF and Jpeg files. I set all the text you provide me with then you can use these files to make as many copies as you need at home or send them to a print company to professionally print them for you - making it a very cost effective way of creating beautiful and unique stationery. 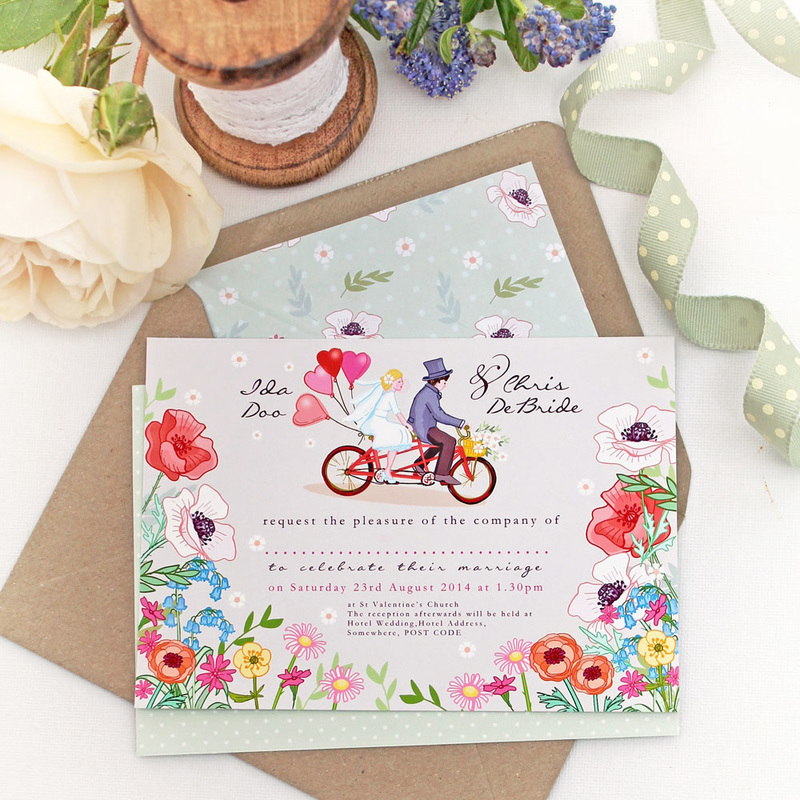 If you would prefer for me to arrange all the print management of your stationery sets, I'd be delighted to work with you to ensure you have the perfect stationery for your special day. I will provide you with a clear breakdown of costs, consult with you on paper/card options and take care of each step of the process ensuring you are fully informed and happy at each stage.